Can You Cook Breaded Porkchops in a Fryer? 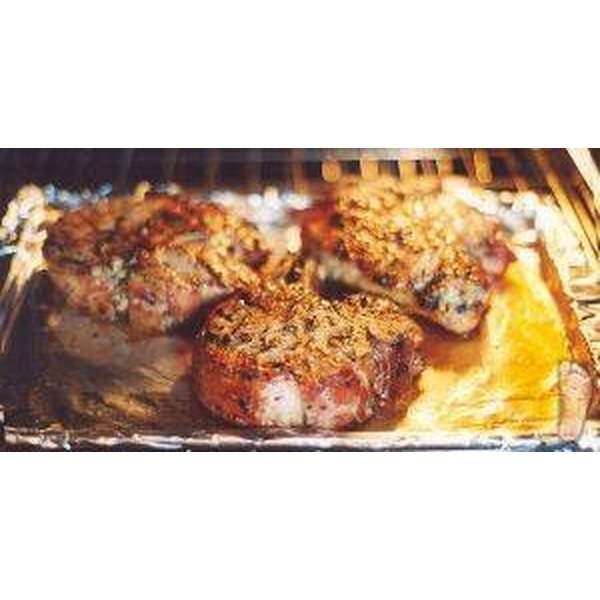 Can You Bake Breaded Pork Chops the Following Day? 2 Does Cooking With Yogurt vs. Sour Cream Taste Different? 3 Can You Cook Breaded Porkchops in a Fryer? Sour cream pork chops are easy to prepare. The chops are baked in the oven, resulting in less fat than pan frying. This recipe makes use of breadcrumbs and Parmesan cheese for a delicious breading, and the sour cream adds a zesty flavor. It yields approximately four servings of sour cream pork chops. Preheat the oven to 350 degrees F. Combine 1 cup of sour cream, 1 tsp. each of garlic powder, dried oregano and basil in a shallow bowl. Combine 1 &#xBD; cups bread crumbs with 3 tbsp. of grated Parmesan cheese in a separate shallow dish. This will be the breading for the sour cream pork chops. Dip each pork chop into the sour cream mixture, making sure to thoroughly coat each side. Use a spoon or knife to spread the sour cream over the pork chops, if necessary to get a solid coating. Transfer the pork chops into the bread crumb mixture after they've been coated with sour cream. Turn over, toss, or spoon the crumbs over the top to make sure both sides are fully breaded. Spray a 9-by-13 inch baking dish with cooking spray. Place each pork chop on it, spaced at least &#xBD;-inch apart. Bake the sour cream pork chops for 45 to 50 minutes, or until the bread crumbs are toasted and golden brown. Remove it from the oven and serve hot. Use Parmesan cheese flavored bread crumbs for more flavor or add more grated Parmesan cheese to the bread crumb mixture, if desired. Additionally, the Parmesan cheese can be omitted. 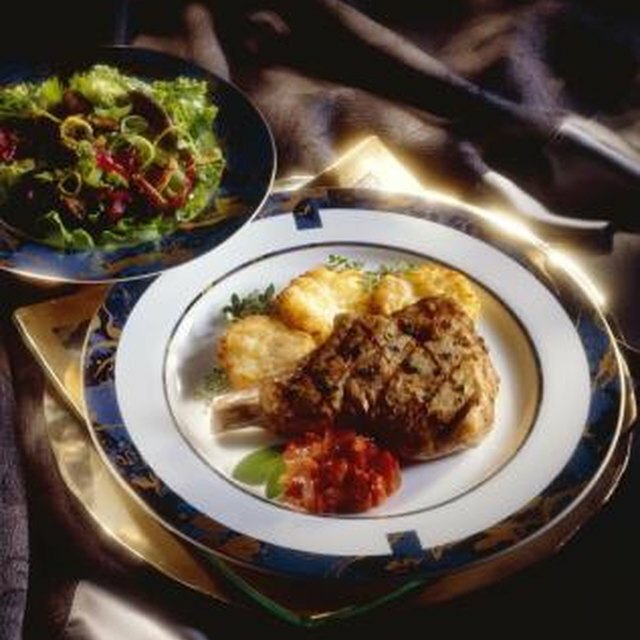 Serve the sour cream pork chops with pasta, a green salad and crusty bread for a complete meal. Baked macaroni and cheese really complements the dish.